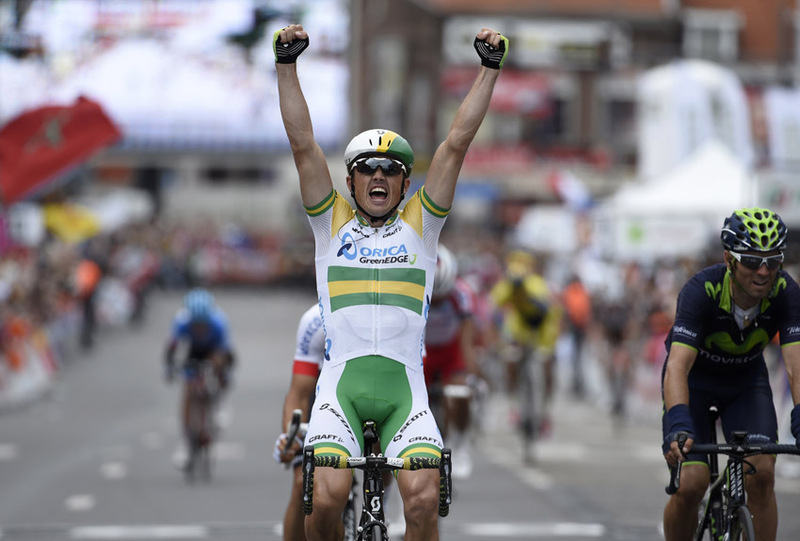 Simon Gerrans (Orica-GreenEdge) outsprinted Alejandro Valverde (Movistar) and Michal Kwiatkowski (Omega Pharma-QuickStep) in an uncharacteristic Liege-Bastogne-Liege. 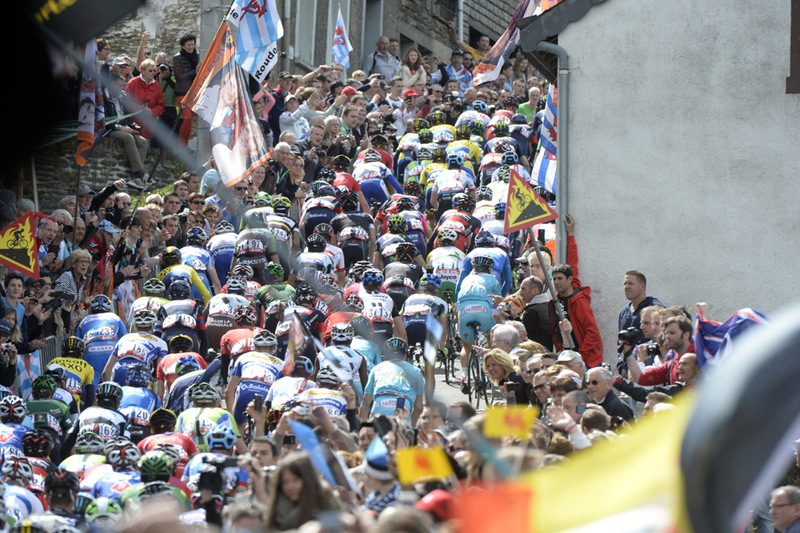 Events were strangely subdued throughout, with none of the usually decisive climbs forming a selection. Such lack of action early on set-up a tense, unpredictable finale, with a very big group of riders reaching the final drag to the finish line in contention, the largest for many years. Giampaolo Caruso (Katusha) and Domenico Pozzovivo (Ag2r) entered the finishing straight together with a gap of only a handful of seconds, having got away on the Côte de Saint Nicholas. With a kilometre or so to go, Dan Martin managed to distance himself from the rest of the peloton in pursuit and was about to make the junction, but shockingly and heartbreakingly managed to fall off his bike when turning the final corner. Whether he would have gone on to win is unclear, as Gerrans, Valverde and Kwiatkowski were by now only a few bike lengths behind. The Spaniard was the first to instigate the sprint, but was outmanoeuvred by Gerrans, who timed his sprint to perfection for the win. Following his 2011 Milan-San Remo triumph, this is the Australian national champion’s second monument win, and came in typically understated fashion – despite hardly showing himself for the whole race, he moved to the front when it mattered the most. The conservative manner in which the others played the race certainly fell into the hands of Gerrans, whose superior sprint should have been a worry for the other favourites, but he deserves great credit both for not panicking and committing himself when others were making speculative moves, and for outsprinting similarly quick finishers Valverde and Kwiatkowski. Although the big names stayed quiet, there were digs by lesser-fancied riders. Warren Barguil (Giant-Shimano) and Julian Arredondo (Trek) both attacked on La Redoute, Alex Howes (Garmin) on the Côte des Forge and Arredondo (again) and Domenico Pozzovivo (before his other move with Caruso) on the Côte de la Rouche-aux-Faucons, but none of these made much of an impression on the race. Of the break at the start of the day, Matteo Bono (Lampre) was the strongest, going alone on La Redoute before eventually being caught later. It was another disappointing day for Sky, who had Chris Froome and Peter Kennaugh both fail to take the start line. Carlos Betancur also registered a DNF, while Joaquim Rodriguez (Katusha), Rui Costa (Lampre) and Andy Schleck (Trek) all pulled out during proceedings.